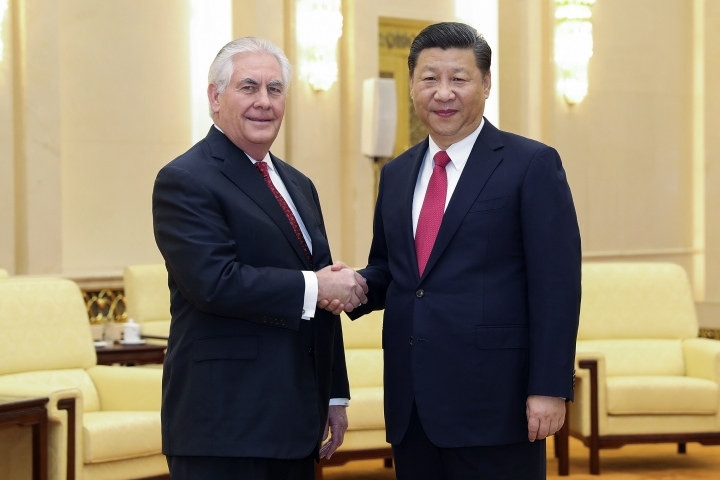 BEIJING — The United States is looking forward to the first meeting between President Donald Trump and his Chinese counterpart, Xi Jinping, Secretary of State Rex Tillerson said Sunday, on the final day of a swing through Asia dominated by concerns over North Korea's nuclear and missile programs. 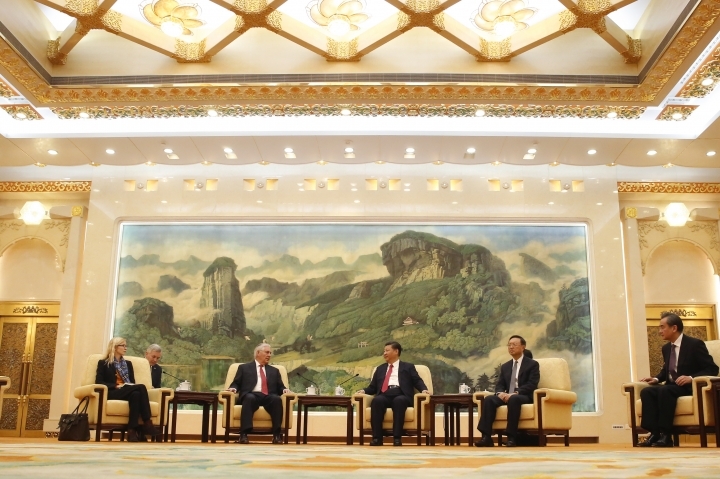 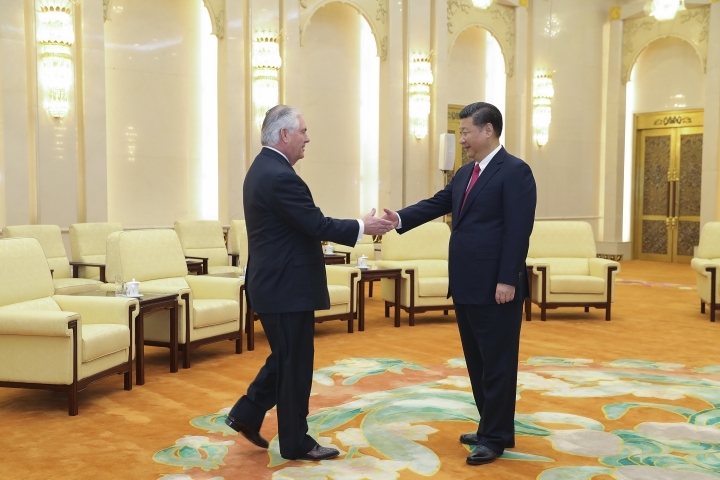 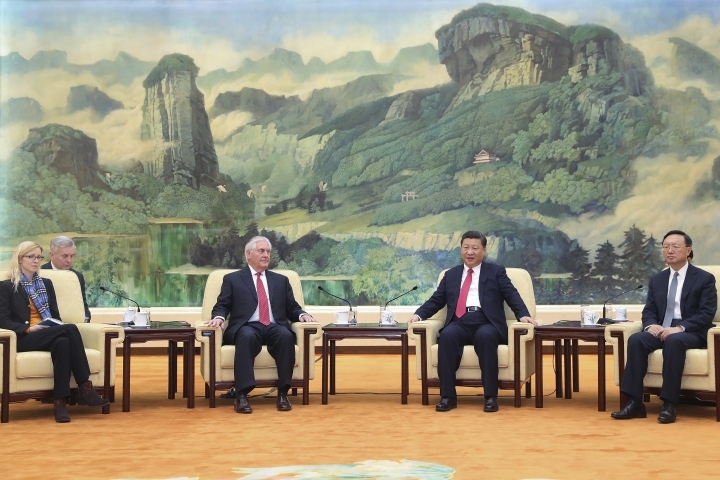 While few details of his talks have been released, Tillerson appeared to strike a cordial tone during his meetings in Beijing, in contrast to Trump's tough talk on Chinese economic competition during his presidential campaign. 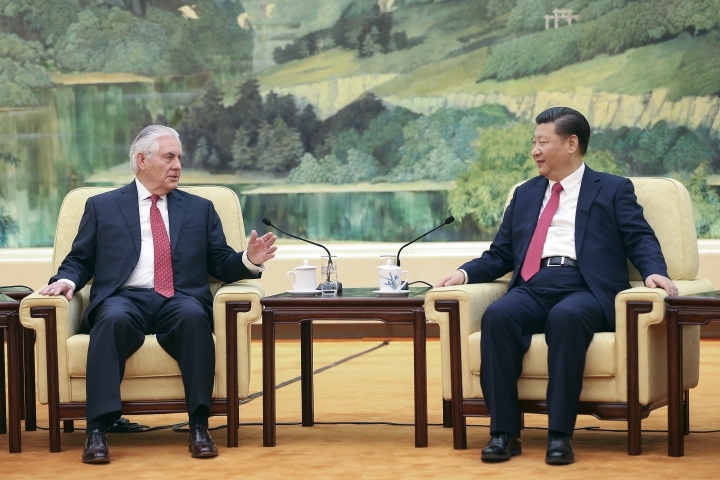 Xi told Tillerson that China considered his meetings Saturday with Foreign Minister Wang Yi and top diplomat Yang Jiechi to have been productive and constructive. 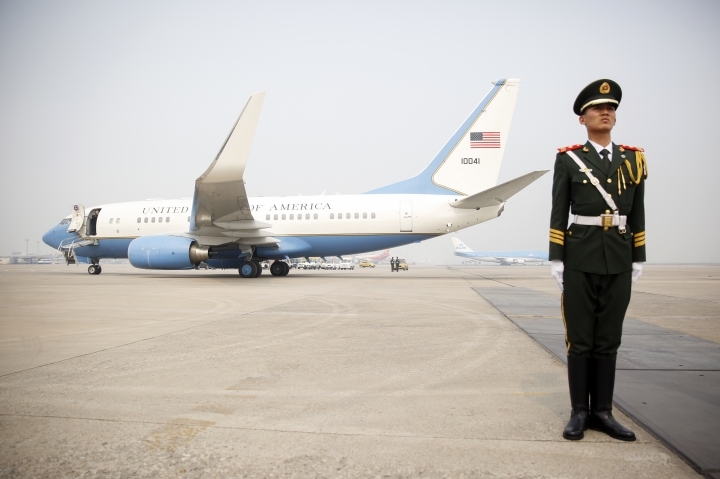 On Sunday, Trump told reporters aboard Air Force One that he and his advisers discussed North Korea before returning to Washington from a weekend at his private club in Florida. 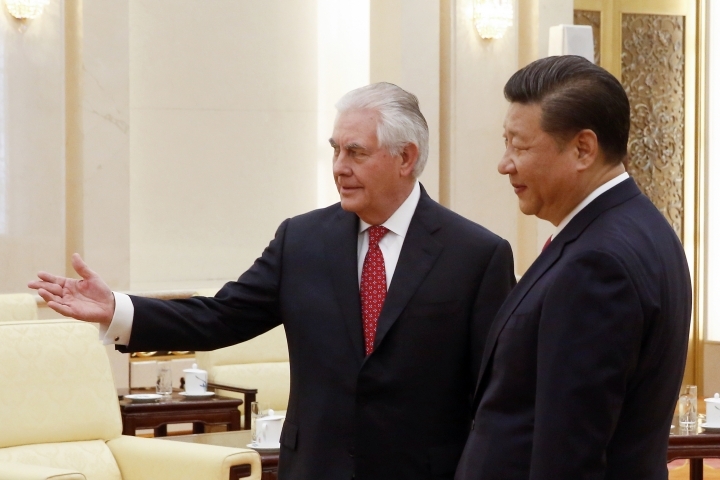 On that subject, Trump said: "He's acting badly. 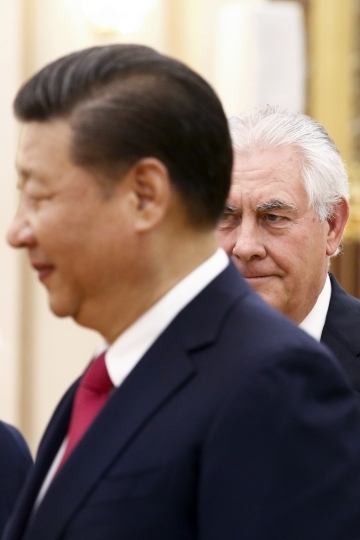 He's acting very, very badly."